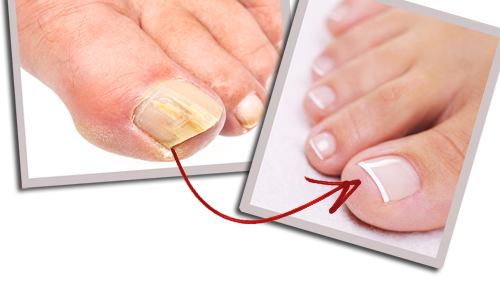 Say goodbye to annoying fungal nail infection using baking soda and vinegar. The fungus on the feet and nails are usually a result of moisture, mildew or bacteria, and are often painful and unpleasant. A mixture of baking soda and vinegar is a good combination exactly why soda is not a fungicide, which means that it will not kill the fungus, but will prevent the spread and growth, while the vinegar is used to kill the fungus. Mix one cup of vinegar with the water in a container for soaking the feet. Wait about 15 minutes, then dry it with a paper towel. Repeat this once more, but this time, add 4-5 tablespoons of baking soda. Repeat several times a day, twice and then with the sodium bicarbonate. The aim of this procedure is, vinegar first destroy fungi while baking soda to prevent their further growing and spreading.